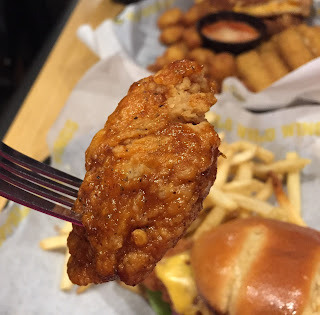 Buffalo Wild Wings serves new limited items but I'm not sure when they started these menus to be exact. 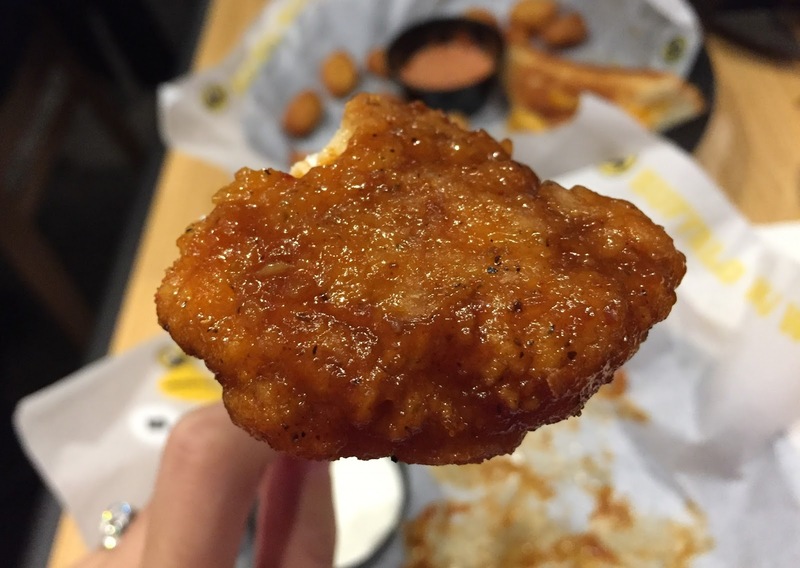 We tried Sweet Saharan Spice, Ultimate Cheese Sampler and Alaskan Cod Classic on boneless Thursday. 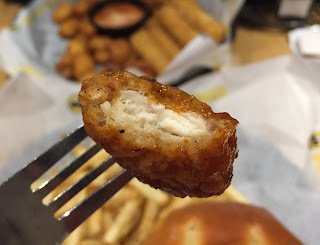 Boneless Thursday give you discount on boneless chickens on Thursdays while wings are on sale on Wing Tuesday. 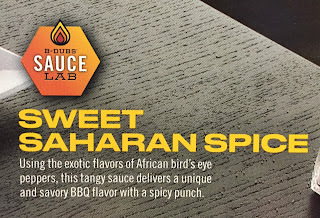 Using the exotic flavors of African bird’s eye peppers, this tangy sauce delivers a unique and savory BBQ flavor with a spicy punch. It had BBQ and curry scent. My first impression was it's very similar to curry and it had some smokiness of BBQ sauce, however, the heat was strong so that it didn't really have much sweetness. It's not as spicy as Thai Curry sauce but it tasted similar. * Discount price for Boneless Thursday.